Use these directions to get rid of SearchGenius malware hijacking the default browser search and homepage settings on Mac OS X computers. Browser hijacking is such a drag. It may affect users of both desktop computers and mobile gadgets, where Macs are somewhere in the middle by the prevalence of these attacks. 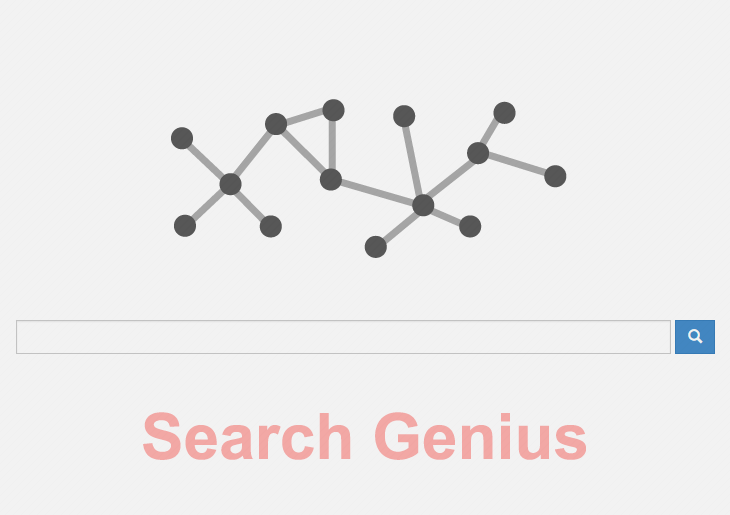 A frequently reported instance involves an online service named Search Genius. Currently parked at search.searchgenius.com, the resource is safe to just visit and browse around. The displeasing situation where users get that page returned when they try to do a web search or simply open Safari, Chrome or Firefox is a completely different story. What makes the drastic difference is whether or not the associated malicious extension is on board a Mac box. A close-up analysis of this sample reveals its affiliation with a trojan dubbed ‘mediahm’. If the infection is inside, the LaunchAgents folder will typically contain the following entry: com.mediahm.operator.update.plist. Also, a subfolder named ‘mediahm’ is likely to be in the Application Support directory. If spotted on a machine, both of these should be sent to trash without hesitation. A more conspicuous sign of this infection is the Search Genius extension installed in Safari, Google Chrome and Mozilla Firefox browsers without the administrator’s consent. The troublemaking add-on is dropped as a result of a covert bundling workflow – the user installed something, usually a free app, which silently dragged in the adware along with it. The user agreement request to give Search Genius considerable privileges on the system tends to be deliberately concealed on the setup stage, therefore the application needn’t ask for approval to make alterations afterwards. Having fallen victim to this intrusion, users cannot set any preferred pages for the browser start page and default search engine parameters. The landing page, search.searchgeniusinfo.com, hence takes over the custom settings and gets repeatedly visited on the Mac despite the user’s reluctance to hit it. The site itself is just a layer between the infected people and another search provider, so it has barely any functionality of its own. To fix the problem, delete the items listed in the previous paragraph and follow the steps below which will complete the remediation. When confronted with malicious code like the Search Genius on Mac, you can neutralize its toxic impact by leveraging a specially crafted system utility. The Freshmac application (read review) is a perfect match for this purpose as it delivers essential security features along with must-have modules for Mac optimization. This tool cleans unneeded applications and persistent malware in one click. It also protects your privacy by eliminating tracking cookies, frees up disk space, and manages startup apps to decrease boot time. On top of that, it boasts 24/7 tech support. The following steps will walk you through automatic removal of the Search Genius infection. 4. Check whether the Search Genius virus has been fixed. If the lock screen is still there, go to the Uninstaller option on Freshmac GUI. Locate an entry that appears suspicious, select it and click Fix Safely button to force-uninstall the unwanted application. 5. Go to Temp and Startup Apps panes on the interface and have all redundant or suspicious items eliminated as well. The search.searchgeniusinfo.com fraud shouldn’t be causing any further trouble.